Type 2 diabetes can cause serious or even life-threatening symptoms, but you can often take control of this frustrating condition through simple but effective natural remedies. 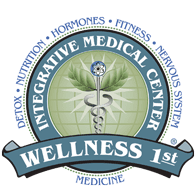 The holistic health care team at Wellness 1st Integrative Medical Center in Gilbert, Arizona, treats many Type 2 diabetes sufferers who are finally enjoying optimal health for the first time in their lives. Use the online scheduler or call the office to book now. What are the signs of Type 2 diabetes? If you notice these signs of diabetes, but you haven't been diagnosed, it's important to reach out for medical care as soon as possible. Type 2 diabetes is often treated with medication — but, in most cases, you can manage it very effectively with a more organic approach. The team at Wellness 1st Integrative Medical Center focuses on treating Type 2 diabetes by fully understanding its origins and correcting those issues at the point of origin. The Wellness 1st team does much more than just testing your blood sugar levels. Your doctor also checks every aspect of your whole-body health and wellness to discover all of the things that contribute to your Type 2 diabetes. The testing typically includes blood evaluation and stool and saliva testing. What happens if Type 2 diabetes isn’t treated? If you don’t get help, Type 2 diabetes could be life-threatening. Your Wellness 1st Integrative Medical Center team is here to help you overcome and prevent diabetes problems so you can enjoy optimal whole-body health. Do I still need to see my primary care doctor? Your doctor at Wellness 1st Integrative Medical Center is here to help you deal with Type 2 diabetes in a natural and healthy way using a whole-body approach. That doesn’t mean you have to quit seeing your doctor or stop your current medication, unless both of your doctors want you to do so as your health greatly improves. The Wellness 1st team is happy to work with your primary care doctor to help you regain your health so you can enjoy your best life, now and in the future. Use the online appointment maker or call the Wellness 1st Integrative Medical Center office for your diabetes reversal appointment now.